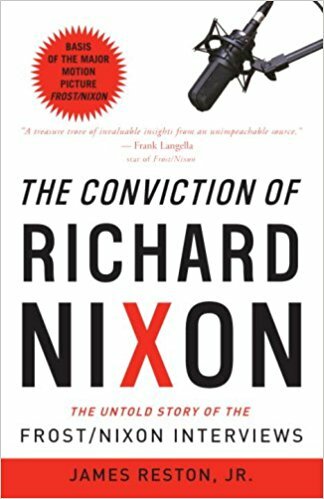 The Conviction of RICHARD NIXON by James Reston, Jr. writes the foreword, "If the President does it, that means it's not illegal," as quoted was the brazen words uttered by Richard Nixon in his famous interview with David Frost in 1977. Nixon continued and argued that the President is immune. As the book describes about eavesdropping, cover up, and bend government agencies like the CIA and the FBI for his own political purpose. National Security and "Executive Privilege" hence when exposed were "mistakes". With such words and predicament came about "Obstruction of Justice", the case for impeachment which led the way for Nixon to resign as it was inevitable. 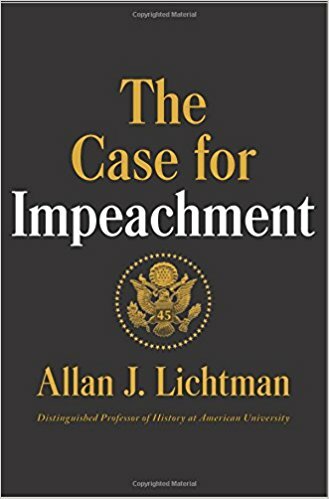 The Case For Impeachment by Allan J. Lichtman . Professor Allan J. Lichtman, who has correctly forecasted thirty years of presidential outcomes, makes the case for impeaching the 45th president of the United States, Donald J. Trump. Historians, legal scholars, and politicians alike agree: we are in politically uncharted waters—the durability of our institutions is being undermined and the public’s confidence in them is eroding, threatening American democracy itself." With the recent testimony of the Former FBI Director James Comey about being asked repeatedly on the Russian interference investigations in the 2016 elections, and the case of holding on to his position simply gives a more stronger case of Obstruction than the last impeachment case of Bill Clinton on an affair which never got passed. The months and circumstances to follow next will be part of the American history books as it unfolds. From the time this new book by Lichtman was release in April 2017, it hasn't yet gotten that much sales from a bookseller standpoint yet however this book is soon to be such an enormous bestseller that the publisher Dey Street Books will probably continually be making reprints. For now, this is a new discussion between supporters of then failed candidate Hillary Clinton and the current 45th President Donald Trump.